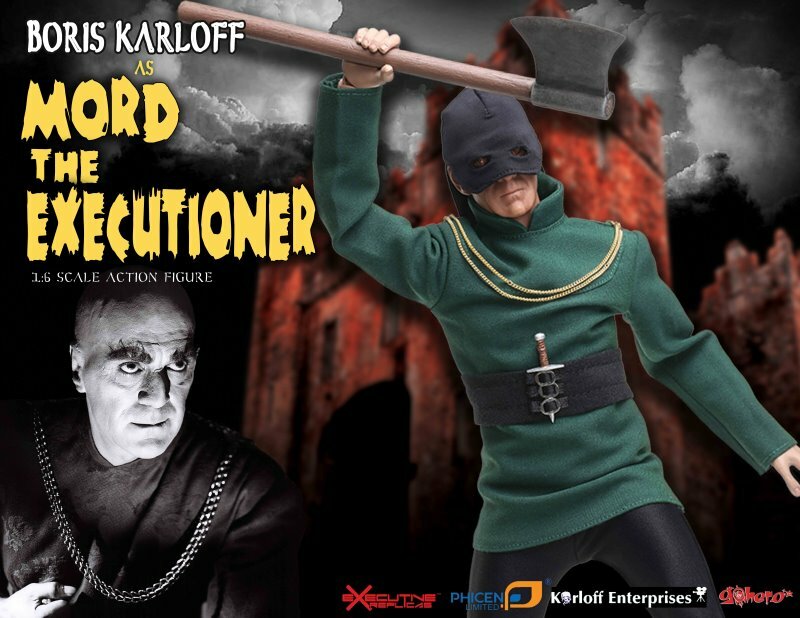 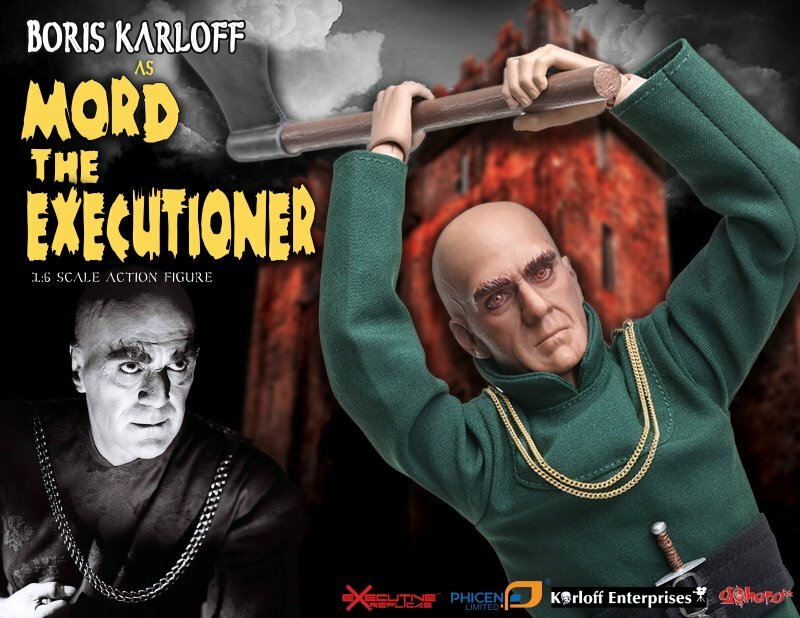 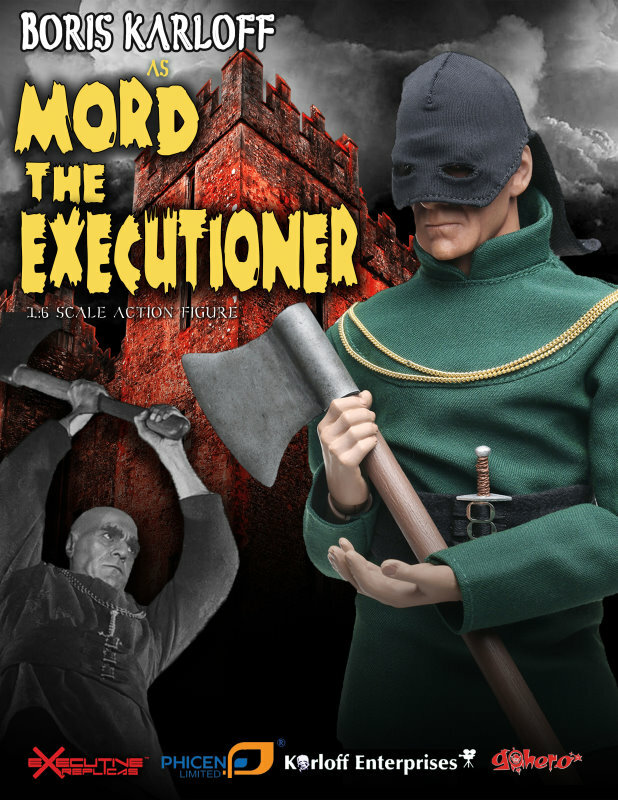 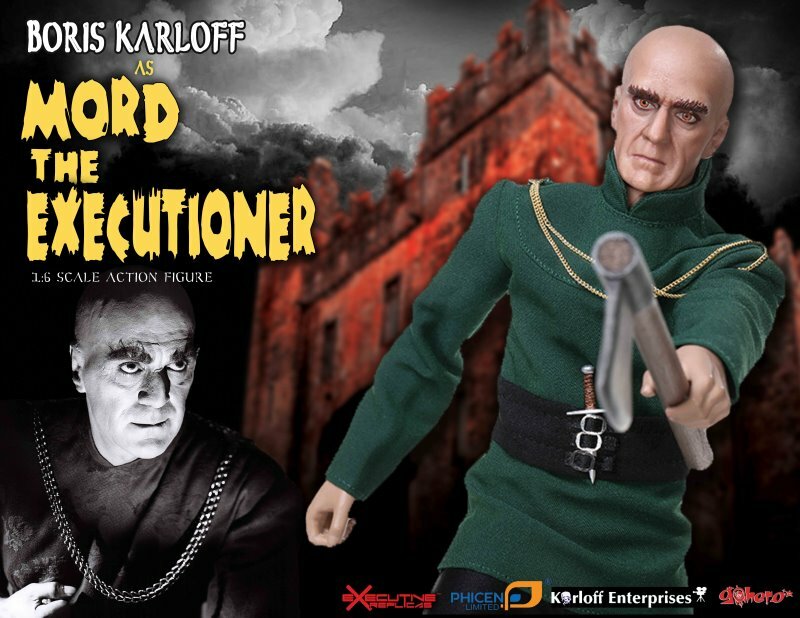 Boris Karloff depicts Mord the Executioner in one of his memorable movies, The Tower of London. 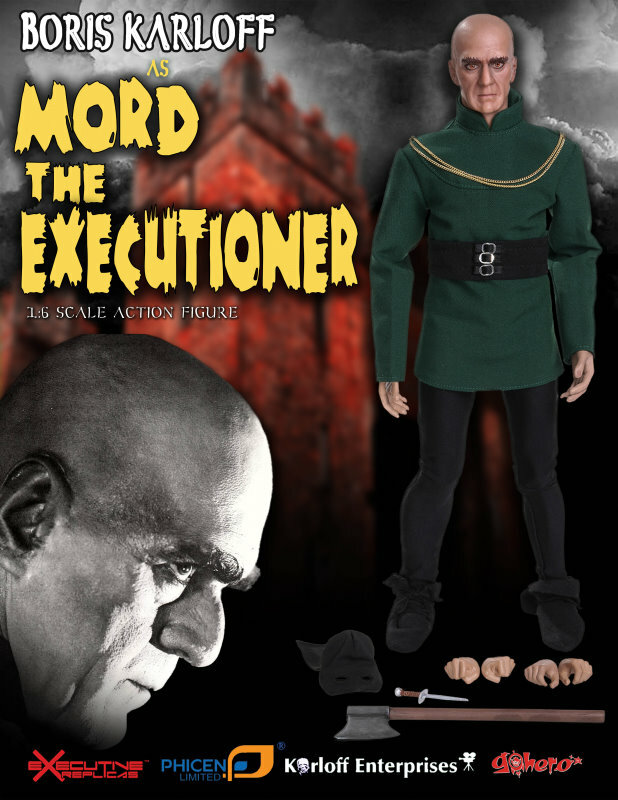 This 1:6 scale premium action figure comes with detailed costume with a removable hood. 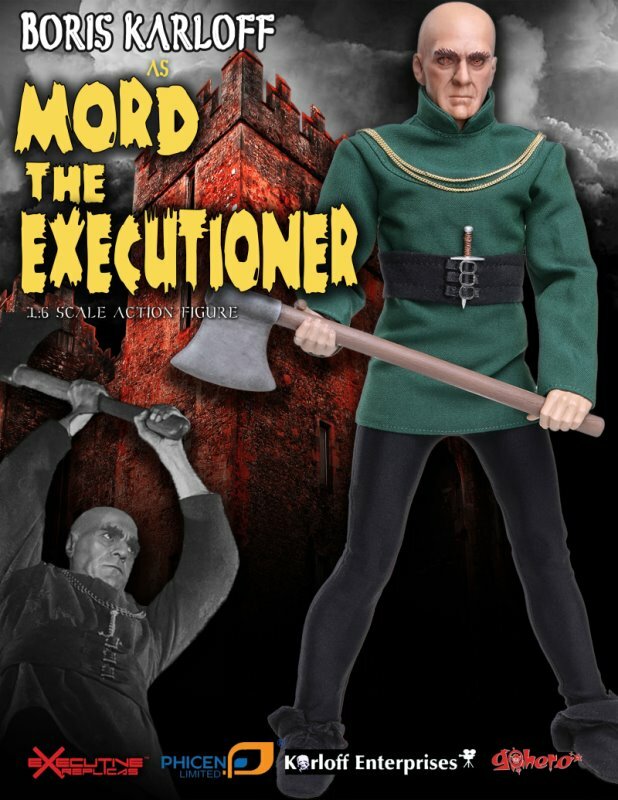 The figure also includes an ax, dagger, three pair of hands, stand, and deluxe packaging.